Are you passionate about being a Buckeye? Disciplina in civitatem, Education for Citizenship. Participate in tailored leadership development training led by university faculty and staff (6-8 hours of leadership seminar sessions throughout the academic year). Serve as ambassadors for the sesquicentennial celebration and as representatives of the university, colleges and campuses. Involvement may include being a spokesperson, representative, or volunteer at events, an advocate through social media or other opportunities (an estimated commitment of 18-20 hours for undergraduate students and 14-16 hours for graduate/professional students throughout the academic year). 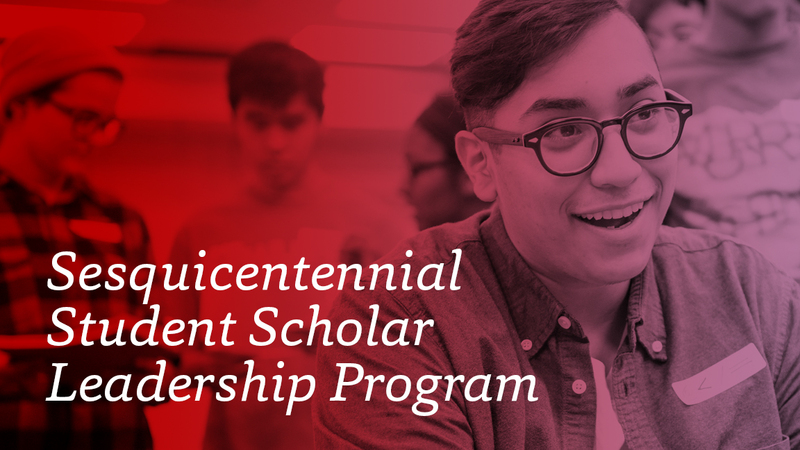 Over the course of the program, sesquicentennial scholars will show the world how Buckeyes lead while developing the skills and fortitude essential to becoming tomorrow’s leaders and engaged citizens. To apply, students must be in good academic and disciplinary standing and currently enrolled in an undergraduate, graduate or professional program on any Ohio State campus or in an online program. Students chosen to be scholars must be enrolled during the 2019-2020 academic year. This scholarship is renewable up to a maximum of 8 semesters (including the 2019-20 academic semesters) or upon completion of the current degree program, whichever comes first. Renewed scholarships will be overseen by the Office of Academic Affairs and the respective college of each scholar. To maintain eligibility for the scholarship, recipients must maintain academic standards and complete the annual ambassador programming commitment as established by the college of study. All students passionate about Ohio State are encouraged to apply. All applicants will be notified of their status during the month of April.